Three defendants involved in a clash between Ku Klux Klan members and counter-protesters in Anaheim resolved their cases Monday after agreeing to do community service, their attorney said. Misdemeanor charges against Nicole Schop, 26, of Los Angeles, and Hugo Contreras, 30, of Hawthorne, were dropped after they agreed to complete 15 hours of community service, according to attorney Derek Bercher. 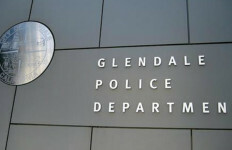 Mark Liddell, 28, of Los Angeles, pleaded no contest to battery and resisting arrest, both misdemeanors, and was ordered to do 15 hours of community service, Bercher said. That leaves Armando Ortiz, 24, of Santa Ana, as the lone defendant. He has been declared a fugitive. “It was sort of a train wreck from the beginning,” Bercher said of the case. “We felt we really had a good defense … but as a result of the sort of chaos of the situation that day and the sort of lack of a prompt police response to the activity, our clients were put in a position where they were aware three people were stabbed by Klansmen who … were walking off, and they wanted to make sure these people didn’t leave the scene. The defendants welcome a community service commitment, their attorney said. Randy Felder, 28, of Lakewood, pleaded guilty on Sept. 6, 2016, to misdemeanor assault and battery and was ordered to do 18 hours of community service. Alexis Solis, 25, pleaded guilty April 6 to misdemeanor counts of throwing a substance at a vehicle and battery and was sentenced to 118 days of jail. Guy Harris, 22, of Anaheim, pleaded guilty on Aug. 18, 2016, to a misdemeanor count of assault with force likely to produce great bodily injury and was sentenced to 60 days in jail. He subsequently violated probation, which was revoked, and he was sentenced to 36 more days in jail, according to court records. The trouble started after an Orange County chapter of the Klan publicized its plans to hold a rally in Pearson Park on Feb. 27, 2016. Only seven of its members showed up, but they were met by 50 counter-protesters, some of whom were accused of immediately attacking the white supremacists, prosecutors said. As some of the Klan members exited an SUV, Solis, who was homeless at the time, hurled a bottle at the vehicle, prosecutors said. Ortiz was accused of pushing one Klan member down and kicking at him, and Solis was accused of punching that victim in the head. Ortiz was also accused of attacking another Klan member, who was holding a small pocket knife, prosecutors said, and Harris was accused of jumping into the attack on the Klan member, who was punched multiple times in the head. The knife-wielding Klansman stabbed Ortiz once under his armpit in what prosecutors described as a self-defense move, and Harris wrestled the man to the ground and sustained a cut to an arm as he tried to yank the knife away, authorities said. Felder shoved a man to the ground, and as the so-called mob surrounded him, an unidentified suspect kicked the victim in the head, according to prosecutors, who said Liddell punched one Klan member in the head and knocked him down. Schop and Contreras ran away from police and refused to surrender, prosecutors alleged.